Mundoro has granted to JOGMEC the following earn-in and option rights to the Timok North Projects. Stage One Earn-in: JOGMEC may earn a 51% interest in the Timok North Projects by making US$3 million in expenditures within the next two years. JOGMEC is under a firm commitment to expend US$1 million of this amount within one year (March 7, 2017). Mundoro Capital Inc reported that it has entered into a binding Interim Agreement with Japan Oil, Gas and Metals National Corporation. (“JOGMEC”), in which it has granted to JOGMEC an earn-in option on three of Mundoro’s exploration licenses: Dubrava, Padina and Zeleznik (the “Timok North Projects”) located within the Timok Magmatic Complex in northeastern Serbia. Pursuant to the Agreement, Mundoro has granted to JOGMEC the following earn-in and option rights to the Timok North Projects. Stage One Earn-in: JOGMEC may earn a 51% interest in the Timok North Projects by making US$3 million in expenditures within the next two years. JOGMEC is under a firm commitment to expend US$1 million of this amount within one year (March 7, 2017). Stage Two Earn-in: Following the Stage One Earn-in, JOGMEC has a right to acquire an additional 24% interest in the Timok North Projects, for a total of 75% interest, by funding the completion of a Feasibility Study by the eighth anniversary of the Agreement (March 7, 2024). Additional Terms: On completing the Stage Two Earn-In, JOGMEC will have a right, exercisable for a period of 60 days, to purchase an additional 5% interest in the Timok North Projects from Mundoro, for a total of 80% interest. The purchase price for the 5% interest will be determined by an independent appraisal of fair market value. JOGMEC will be responsible for future expenditures on the project through to production if it completes Stage Two, including Mundoro’s share of capital expenditures. Mundoro’s portion of capital expenditures shall be repaid from 50% of the cash flow that Mundoro would otherwise be entitled to receive on a pro rata basis from the joint venture. If either party dilutes below 10%, their interest will convert into a 2% NSR of which up to 1% NSR will be re-purchasable for a total of US$4 million. Mundoro will be the initial operator of the Timok North Projects. A management committee has been formed and is comprised of two representatives from each of Mundoro and JOGMEC. The Agreement contemplates that the parties will settle a definitive joint venture agreement to govern the transaction. The completion of such an agreement is subject to the parties settling all outstanding commercial terms, as well as other conditions, although to the extent that such agreement is not settled then the terms of the Agreement will govern. The Zeleznik license is a 60 sq.km area located at the northern end of the Timok Magmatic Complex. The Zeleznik exploration area falls within the recently discovered sediment-hosted gold belt and is in the immediate vicinity of the producing Majdanpek copper porphyry deposit. First stage drilling on the southern Zeleznik targets, the West Zone and the East Zone, has demonstrated that previously defined surface mineralization, identified through soil sampling and trenching, remains open at depth and along strike at both the target areas. At the West Zone drilling intersected several hornblende-biotite porphyry dikes cutting basement gneiss. The porphyries are potassic altered and the host gneiss is cut by A-type quartz veins and veinlets containing pyrite-chalcopyrite mineralisation. The veins appear to be dipping east, parallel to and presumably controlled by the gneissic foliation. A 25m intercept centered on the early porphyry dyke averages 0.47% CuEq (see press release from January 12, 2015). ZELDD_05: 81.2m @ 0.22% Cu, 0.23 g/t Au, including 2.8m @ 2.1% Cu, 1.5 g/t Au. ZELDD_06: 4.9m @ 0.82% Cu, 1.00 g/t Au (see press release from January 12, 2015). 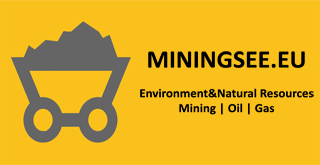 The Company believes there is good potential for discovery of bulk porphyry mineralization containing high grade sulphide blocks which can boost the overall grade. The Company completed a regional soil sampling reconnaissance program in Q4/15 which has identified new targets at the Northern portion of the Zeleznik license. The results returned a Cu-Au-Mo anomalous area, approximately 800m x 600m in size which requires follow-up work in 2016. The Company plans to complete an IP and CSAMT surveys in H1/16 to further define the drill targets along the East and West Zones to be followed by a drill program in H2/16. The Dubrava-Ostrelj license is a 51 sq.km area which wraps around the Bor Mine Complex and is 3.5km from the Freeport-McMoran and Reservoir Minerals Cukaru Peki deposit. The license area geology is made up of Upper Cretaceous subduction-related magmatic rocks which are the host rocks of the producing Bor and Majdanpek deposits. The license was screened using stream sediment sampling, reconnaissance mapping and an AMT geophysical survey. One drill hole, BJ-04, tested a target that was interpreted as a structural trend related to the Bor deposits. BJ 04 demonstrated positive results with a Cu-Au mineralized intersection of 28 m @ 0.2% Cu, 0.25 g/t Au (0.36% CuEq.) including 7m @ 0.5% Cu, 0.69 g/t Au (0.94% CuEq.) Subsequent soil sampling, detailed mapping and rock sampling around the BJ-04 collar location highlighted a NW trending geochemical anomaly possibly related to the intersected mineralisation at depth. Subsequent exploration work continued with a regional CSAMT geophysical survey on the southern part of the license which highlighted NE structures cross-cutting the main NW trend and which may have played a role in localizing the mineralisation. The Company plans to conduct further geophysical surveys and detailed mapping in H1/16 in order to better define follow-up drill targets. The Padina license is a 12 sq.km area that is located east of the Bor Mine Complex and contiguous (to the south) to the Dubrava license. The Company completed a CSAMT geophysical survey over the license in order to assess the area and generate drill targets related to the regional Krivelj fault, which is known to control the Veliki Krivelj Cu-Au porphyry orebody. The Krivelj fault has been interpreted to continue along strike through both the Padina and Dubrava licenses. Results highlighted a resistivity low anomaly 300m to 400m wide which was followed for approximately 3.5km along the Jurassic Limestone basement. An additional IP survey is planned for H1/16 to test for the presence of chargeable areas that can host sulfide mineralization within the fault zone or at its western margin. The Company continues to have ongoing discussions regarding potential joint ventures for Mundoro’s five Timok Southern Projects Iicenses: Borsko Jezero, Savinac, Sumrakovac, Bacevica and Osnic. Although there are ongoing discussions, the Company cannot provide assurance that a transaction will be concluded as a result of these discussions.